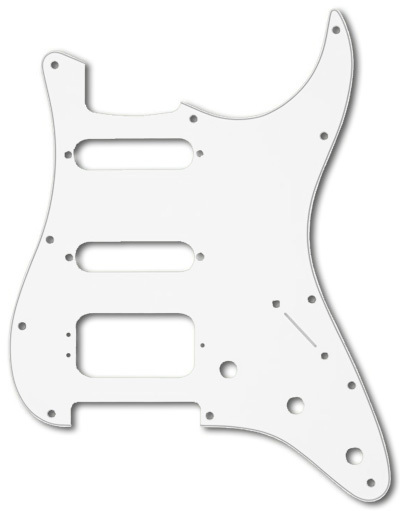 Genuine Fender® Stratocaster® 3 Ply White HSS Pickguard. White / Black / White. 11 Hole Standard. One Humbucking pickup and two single coil pickups. The Humbucking pickup mounting holes are the standard Fender® 3 hole style. The selector switch mounting holes and both the single coil pickup mounting holes are countersunk accepting Phillips oval head mounting screws.